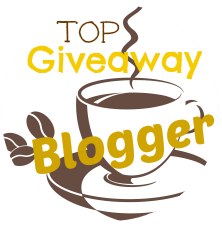 Deliciously Savvy is Hosting a Giveaway for Glass Dharma! 1 LUCKY Winner will receive a Gift Certificate for $25 from Glass Dharma to choose the fabulous Glass Straws and Accessories of Their Choice! PLUS a Big Thank You to all Blogs Helping To Promote! You are all the Best! 1 Lucky Winner Will Receive A $25 Gift Certificate Code for any products they choose from Glass Dharma! This giveaway will end at 11:59PM (EST) on 10/01/2015. Deliciously Savvy did not receive any form of compensation for this giveaway. Once winner is selected via the Rafflecopter process, the product will be shipped. Winner has 48 hours to respond or another winner will be chosen. No other blog associated with this giveaway is responsible for the product shipment. Glass Dharma will be providing the prize above to the winner. Thank You for stopping by! Any Questions or Concerns email me at mcushing7 (at) hotmail (dot) com. I like the simple Elegance Straws. I learned that the straws are resistant to thermal shock. I would like to get some straws for our Camelback bottles! I've never heard of these before, pretty neat! I love that they're eco friendly! I like their Decorative Dot Ice Tea Straws. We drink tea in the summer so these would be fun to use! i would like to get the camel bak straws. i haven't had a new one in quite some time.